Baker McKenzie lost two partners this week: the Chicago-based Matthew Kluchenek joined Mayer Brown, while in Silicon Valley Matthew Gemello left for Orrick, Herrington & Sutcliffe. Both partners are experts in the technology sector. Considering Orrick’s strength as a tech outfit, Gemello’s hire comes as no surprise: the firm recently opened an office in Boston focusing on cybersecurity and data privacy, and if it wants to cement itself as a one-stop shop for technology clients and acquirers looking for tech targets, strong corporate capabilities on the West Coast are crucial. Gemello was the head of Baker McKenzie’s North America corporate and securities practice, and his arrival brings impressive cachet. Recent clients of his include Motorola Solutions and Konica Minolta. Mayer Brown’s play for Kluchenek is interesting: the firm has a market-leading derivatives practice in the US, but its fintech expertise is not quite as renowned. As the US market becomes increasingly acclimatised to the melding of the tech and securities worlds – the chilling effect US regulations have been having on ICOs (initial coin offerings) has been slowly thawing – fintech expertise will be key to advising large financial institutions wishing to compete with agile disruptors. Kluchenek, who is especially experienced in regulatory and enforcement matters relating to derivatives, has been increasingly active in cryptocurrency, and his arrival will no doubt give the firm a fillip in fintech. 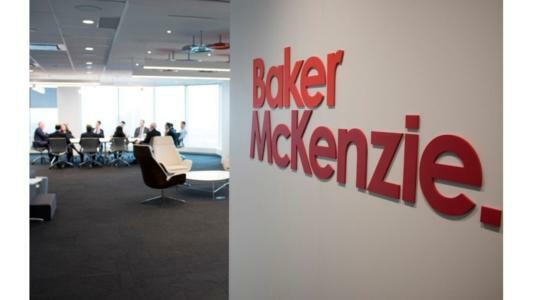 For Baker McKenzie, which remains one of the world’s largest firms by headcount, Kluchenek’s departure suggests that the firm is quietly surrendering its efforts to be a fintech player in North America’s crowded and competitive market. Baker McKenzie current key contact for fintech in the US is Samuel Kramer, who is more of a commercial IT lawyer. On the corporate side, Gemello’s position as North America corporate and securities chair has been filled by Amar Budarapu.